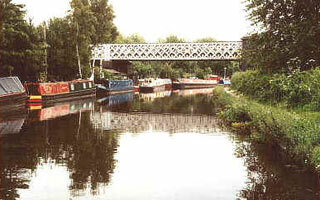 All canal sections run by the club are are available for fishing all year round. 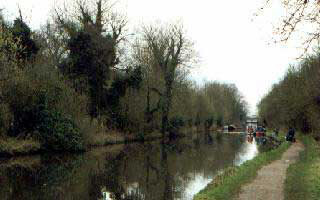 Watford Piscators controls five adjacent sections of the Grand Union Canal, approximately 6 miles in all. The sections (from North to South) are known as Evans, Park, Dickinsons, Moor and Gingers pounds and contain a variety of different species. 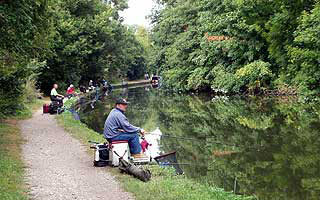 Park and Evans are regarded by many as some of the finest canal fishing in the country. Match bookings are available on all sections of the canal, please contact the club secretary for details and prices. Please note that Evans is only available for Match booking on Mondays-Fridays. This is a private members only fishery features regularly on Sky TVs Tight Lines programme and has featured twice recently by Bob Nudd in Angling Times. This section attracts a lot of anglers due to its large shoals of bream (to 5lb) and head of chub (to 5lb). Large carp and the odd barbel (to 8lb) are also caught, although the large number of far bank features make landing the carp challenging on light gear. The section had an almost constant flow on it caused by the River Gade, which flows in at the top end of the section and out again towards the bottom. This means that the venue rarely freezes, even in the depths of winter and provides top quality year round fishing. The current Watford Piscators match record was set on this venue, with a catch of over 85lb of chub during a six hour match held a few years back. Not bad when you consider the match took place in December. One of Watford Piscators match regulars, George Twyman with a typical Bream caught from Evans. This was taken during a club match when nearly every angler weighed in at least one such bream each. Access: The best access point for Evans is through Cassiobury Park. After parking near to the park entrance off Parkside Drive follow the path over the river Gade and up to the lock at the south end of Evans. Click here to see a map with the lock at the south end of the Evans highlighted. (NB the map incorrectly has the canal labelled as the river Gade). Park Pound is the next section down from Evans and produces a slightly different mix of fishing to Evans. 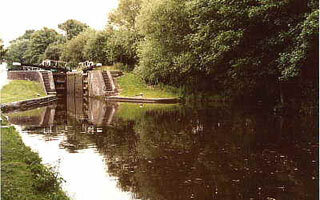 This sheltered section of canal contains a wide variety of species, but bream and chub predominate as the target fish. Large carp and specimen perch are also present as are the usual match fish. Park pound was opened up to day ticket fishing in 2000, day tickets are available from bailiffs on the bank. The picture shows a view of Park from the willow bush down to the white bridge. One of the sections larger perch is shown below, this one weighed in at 2lb 6oz. We recently had reports from one pleasure angler who caught 4 perch for a combined weight of 10lb – so there is more than one in there. Access: The best access point for Park is from the white bridge over the canal on Rousebarn Lane, although you can access the same bridge by parking in Gade Avenue on the other side and walking a bit further. You can also get to the North end of Park pound from Evans (see previous section), although this is not generally the favoured end for fishing. Click here to see a map with the white bridge towards the south end of Park pound highlighted. (NB Park pound technically extends to the lock approx 300 yards below the highlighted bridge). This stretch is the next one down from Park and probably the fairest for match fishing, as most of the pegs have similar potential. There are plenty of smaller fish in this pound as well as a few other species. The odd carp and crucian put in an appearance from time to time, but it is the roach that attract most of the anglers to this section. The fish in this section tend to be fairly small, but the odd better bream and perch put in an appearance from time to time. Hot spots include the mouth of the marina for perch and the back of the sea cadet hut in winter for small fish on bloodworm and joker, although punch and squatts also pull in the fish. Day tickets are available from bailiffs on the bank. Access: The best access point for the North end of Dickinsons is from the car park adjacent to the disused Croxley Green train station and Sea Cadet Hut. Click here to see map with the location of the car park highlighted. For access to the south end of Dickinsons please see the link for Croxley Moor in the section below. Moor pound contains some large shoals of bream that are often targeted by match and pleasure anglers alike. The typical fish run at about 2lb 8oz, but the larger ones run to 6lb. (There are rumours of larger fish.) In a recent match over 70lb of bream were taken and pleasure catches in excess of this have been reported. In addition to the bream there are a few large carp in the stretch, rumoured to be 30lb+ as well as a good head of roach which run to over a pound. 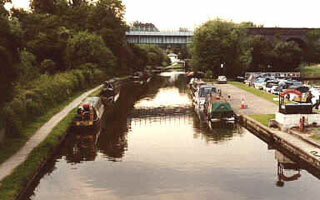 The last section of canal runs just beyond the lock at the end of the section until the bridge where the Ebury way footpath crosses the canal. The river Gade flows into this short stretch of canal and produces some interesting catches of roach and carp. Access: The best access point for the North end of Moor / South end of Dickinsons is from the far end of the new housing estate shown on the following link. Click here to see map with suggested access point. Until recently access was also possible from the bottom of the Mill Lane on the West side of the canal. Although it is still possible to gain access to the canal via this route, car parking on this road is no longer practical.